Correction: An earlier version of this story mentioned that the Greg Brown show at the Fremont on March 2 was sold out. It's not! Tickets are absolutely available. Maybe we're hardwired for it, but I still find the human voice the most beautiful and moving musical instrument, which is why I love a cappella music. Of course, there's nothing wrong with some stirring instrumentation to augment the voice, and The Ten Tenors, playing Wednesday, March 7, at the Performing Arts Center of SLO, offers the best of both worlds—10 stunning tenor voices working in harmony with a terrific backing band that knows how to hold back and let the voices take front and center. 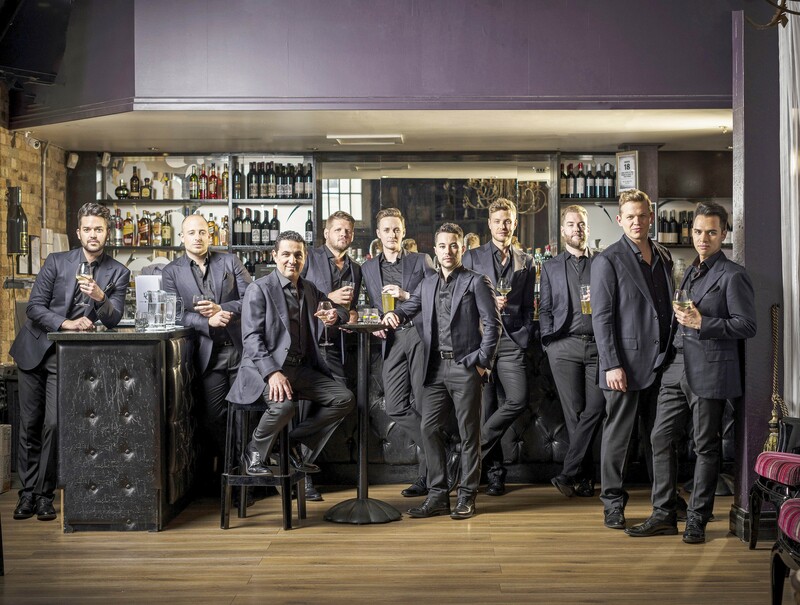 PAYING RESPECT Australia's Ten Tenors celebrate the music of Prince, David Bowie, and others on March 7, at the PAC in SLO. If you're thinking, "I'm not really that into opera and classical music," you should know that this famed ensemble from Australia, now celebrating its 20th anniversary, is touring in support of Wish You Were Here, their new album celebrating the music associated with departed icons such as Prince, David Bowie, Leonard Cohen, Whitney Houston, Michael Jackson, John Lennon, Amy Winehouse, Queen's Freddie Mercury, Roy Orbison, and others. "We were rehearsing Bowie's 'Heroes' in Melbourne for the very first time when news came to us of his death," Tenors' producer D-J Wendt said in press materials. 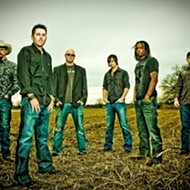 "It had a marked impact on the band and performing that song has taken on a whole new meaning. While on tour just a few months later, we learned of the loss of Prince, another monumental talent, and as 2016 continued we knew our next album should pay tribute to those artists who departed before their time. We wanted to rise above the sadness to create a musical celebration to their respective lives and legacies." To get a taste, you can go online and check out their renditions of Cohen's "Hallelujah" and Queen's "Bohemian Rhapsody." They'll give you goose bumps! The concert may also feature some fan favorites, songs by contemporary hitmakers such as Ed Sheeran and Bruno Mars, and—according to press materials—"possibly a soaring Verdi aria and other traditional favorites" just in case you are into opera and classic music (7:30 p.m.; all ages; student and adult tickets from $40 to $90 at (805) 756-4849 or online at calpolyarts.org). 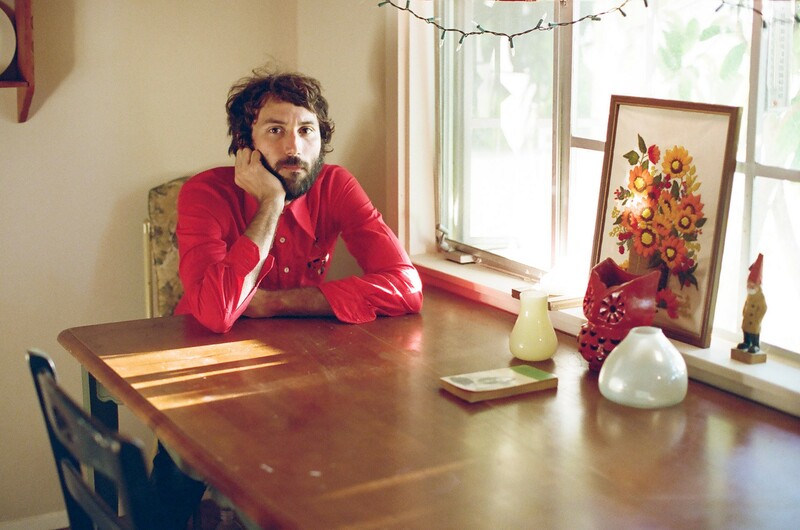 PURE CALIFORNIA Indie singer-songwriter extraordinaire, Matt Costa, plays Morro Bay's Siren on March 1.
Who'd have thought Morro Bay would be drawing live music lovers from other parts of the county, but here we are! Ever since The Siren opened and started working with Numbskull and Good Medicine Presents, the 370-person capacity club has become the go-to live music destination. This Thursday, March 1, indie singer-songwriter Matt Costa—who used to play regularly at the old SLO Brew location and draw huge crowds—will play The Siren (7 p.m.; 21-and-older; $20 presale at Boo Boo's and ticketfly.com). You can hear Costa's love of '60s and '70s pop as well as '80s college rock sounds. The former skate rat turned musician got his big break opening for Jack Johnson in 2005, but he's since toured with everyone from Modest Mouse to Ryan Adams to G. Love. Over the last several years he's been steadily delivering a series of exceptional EPs, but now I hear he's back in the studio to record his first full length since 2013. 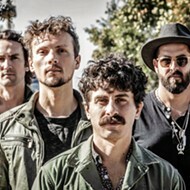 According to press materials, "There's a classic sound and focus reminiscent of Tom Petty and early Elvis Costello, complete with a strong backbeat discovered with his rollicking touring band, and an acoustic side that plays out as some of Matt's best individual stories [are] put to tape." Also at The Siren this week is a Jim Morrison celebration with Wild Child on Friday, March 2 (8 p.m.; 21-and-older; $18 presale at Boo Boo's and ticketfly.com or $20 at the door). Singer David Brock near-perfectly captures Morrison's vocal inflections and charismatic swagger. SPIN YOU RIGHT ROUND Former Jurassic 5 DJ and Ozomatli founding member Cut Chemist will lay down the turntablist law on March 5, at The Siren. There are DJs and then there's Cut Chemist, who helped form a little group you may have heard of ... Jurassic 5! He's also a founding member of Ozomatli, and he's coming to The Siren on Monday, March 5 (7 p.m.; 21-and-older; $18 presale at tickeyfly.com and Boo Boo Records or $20 at the door). 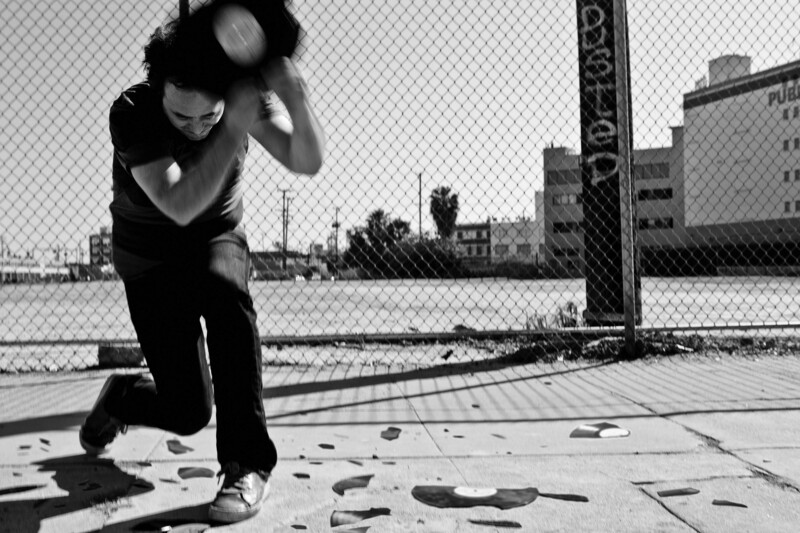 Not one to downplay or up-play his own talent, Cut Chemist said in his press package, "I'm the only sample-based DJ ever actually signed to a major U.S. label. [I'm] father to a concept which became something called Brainfreeze. [I] headlined the Hollywood Bowl with DJ Shadow and got booed by 15,000 people opening up for Shakira. Give me a whirl!" This is the kind of turntablist who knows how to keep the party going, a party that will start with DJ El Dusty, who's considered the inventor of Cumbia Electronica. This is going to be a dance party the likes of which Morro Bay has never seen! MEXICAN HEROES Bronco rides into the Fremont Theater on March 3, delivering their popular take on Norteño music is some really bitchin' costumes! 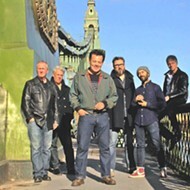 One of Mexico's biggest acts, Bronco, plays the Fremont Theater this Saturday, March 3 (9 p.m.; 21-and-older; $48 at Boo Boo's or eventbrite.com). 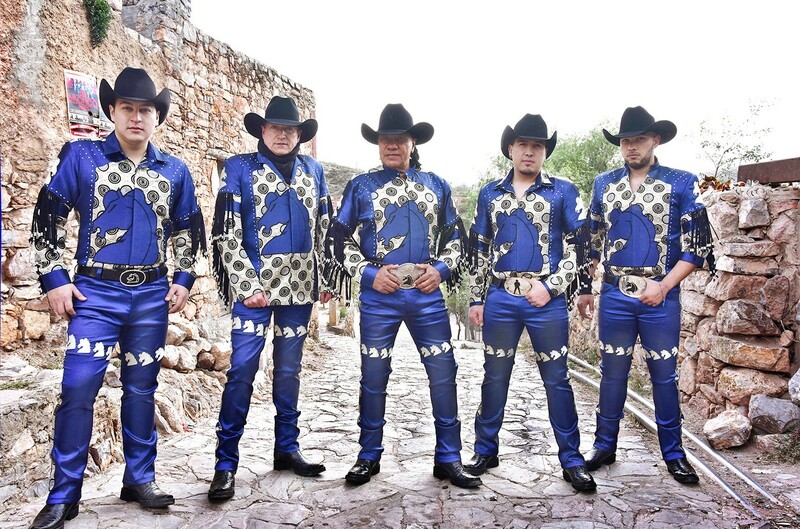 Hailing from Apodaca, they gained prominence in the '80s and '90s with their modern take on the Norteño style, scoring them a number of international hits and selling more than 12 million albums. Also, if you were hoping to see Greg Brown at The Fremont on Friday, March 2, it's not sold out! Go forth and purchase tickets! HIGHLANDS SOUNDS Scottish super group Daimh plays two SLOfolks shows this week on March 2, at Coalesce; and March 3, at Castoro Cellars. 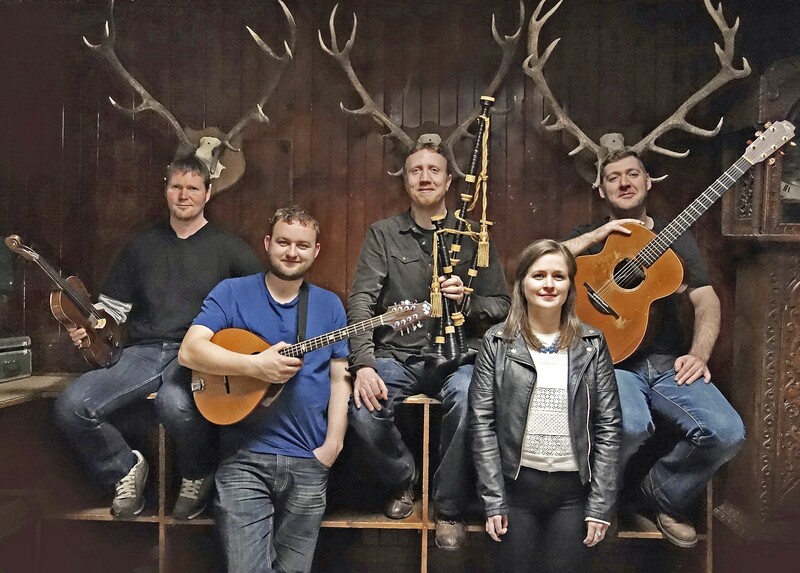 West Highland super group Daimh will bring their traditional Highland music to a couple of SLOfolks shows this week. 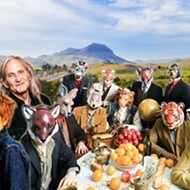 The Gaelic group features the amazing voice of Ellen MacDonald, and just last year they won "Best Folk Band in Europe" at the prestigious Folkherbst competition in Germany and "Folk Band of the Year" at the Scottish Traditional Music Awards. Not too shabby, eh? See them at Coalesce Bookstore on Friday, March 2 (7 p.m.; all ages; $20 at (805) 772-2880); or Castoro Cellars on Saturday, March 3 (7:30 p.m.; all ages; $20 at (805) 238-0725 or at Boo Boo's). Now don't be a wee scunner and get yourself to one of these shows, or I'm going ta skelp yer wee behind! Word on the street is Jamie Parker is out of the Otter Rock Café by the end of April. "After months of torture by escrow and city shenanigans, she'll be bidding aloha to the Otter Rock," Cliff "Crawdaddy" Stepp lamented, so his band The Cliffnotes plans to send her off in style on Saturday, March 3, with a free "8:30ish" p.m. performance. "The Cliffnotes wanted to be able to thank her for years of providing a venue loved by musicians and patrons alike. Lots of dancing. Lots of hugging." Composer-guitarist Bill MacKay is touring through California and will make a stop at Boo Boo Records on Sunday, March 4, for a free in-store solo set at 1 p.m. MacKay will perform songs from his 2017 Drag City record Esker as well as work from his earlier discography. 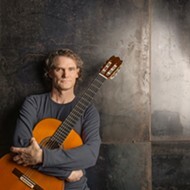 If you want to see an unpredictable approach to guitar, working in eclectic genres such as Appalachian folk, avant-rock, blues, gospel, jazz, raga-esque explorations, and more, this is the guy to see. MUSIC CON! 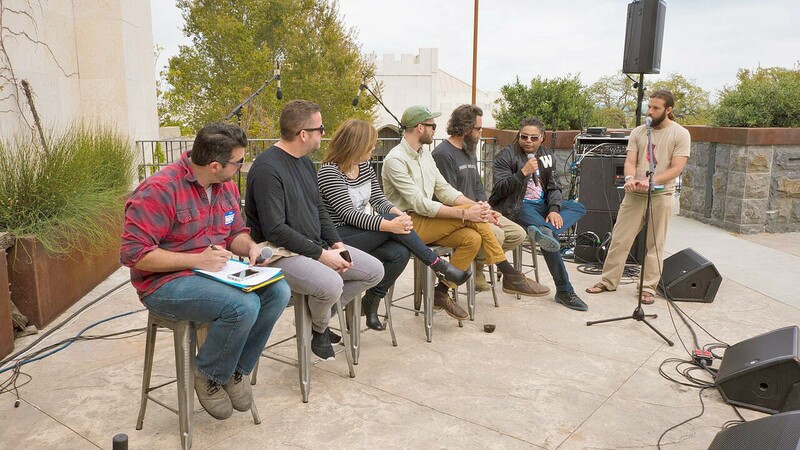 Anyone connected to or interested in the Central Coast music scene is invited to Music Con, a daylong music convention with opportunities to network with music scene makers, listen to panel discussions, jam, and more, at Tooth & Nail Winery on March 18. Are you in a band? You should come. Are you a vendor selling instruments or renting equipment or providing CD manufacturing services? You should come. Are you a sound engineer, a lighting technician, or a music producer? You should come. Do you teach music or want to learn to play music? You should come. Are you a venue owner, a promoter, or a publicist? You should come. 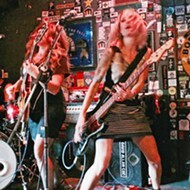 Do you just like music and are interested in the Central Coast live music scene? Then you should come to the third annual Central Coast Music Con on Sunday, March 18, at Tooth & Nail Winery (noon to 6 p.m.; all ages; free). "This local music industry convention brings together musicians, bands, promoters, venue owners, sound and lighting companies, and other music and event related businesses for a day of workshops, performances, and a unique networking experience," Paul Irving of Big Big SLO and Zongo! All-stars bandleader said. "It is open to all ages and admission is free with registration. The program schedule includes workshops, presentations, jazz jam, blues jam, Samba drum jam, songwriter showcase, and more." Local musician Vince Cimo, who wanted to create networking opportunities for those in the industry, created the event. Cimo, who's collaborated with Moonshiner Collective and is currently the multi-instrumentalist bandleader of Mannequins by Day, explained what motivated him: "Basically, there're a lot of concerts and a lot of great bands out there, but we're not good at networking, and I wanted to help connect musicians with venues, promoters, music business manufacturers, and anyone else interested." Cimo said the event is a real opportunity for people to meet each other and get exposure, advance their careers, share their knowledge, and more. There'll be opportunities to jam with other players, a few performances early in the day by local bands, a cappella singing, lots of booths, and vendors. If you love local music, there'll be a long table filled with local band merch!